I once got into an argument with someone who said that Jack Nicholson did a better job as The Joker than Heath Ledger did. I told him he was a moron, and I stand by that! 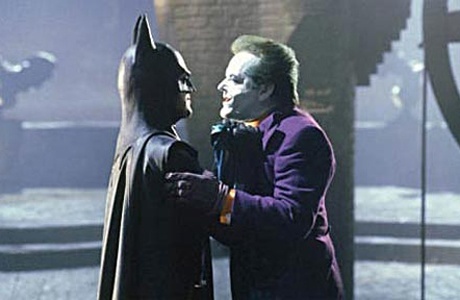 Nicholson essentially played Jack Nicholson playing The Joker; he was himself, but with green hair and weird make-up. Ledger gave the part depth and some really unnerving darkness. Although I will say that I like Michael Keaton better as Batman than I do Christian Bale. But that may be because Bale's affected "Batman voice" grates on my nerves.